Perbadanan PR1MA Malaysia (PR1MA) was established under the PR1MA Act 2012 to plan, develop, construct and maintain affordable lifestyle housing for middle-income households in key urban centres. 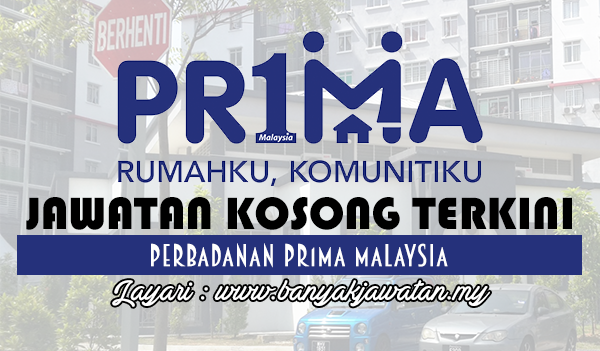 At PR1MA, we are passionate and determined to provide quality and affordable homes for Malaysians. We are now hiring talented people who share our passion. We are based at Oasis Square, Ara Damansara. 0 Response to "Jawatan Kosong di Perbadanan Pr1ma Malaysia - 16 March 2018"